The Republic of Chile has joined a handful of nations in forcing cell phone companies to sell unlocked devices. 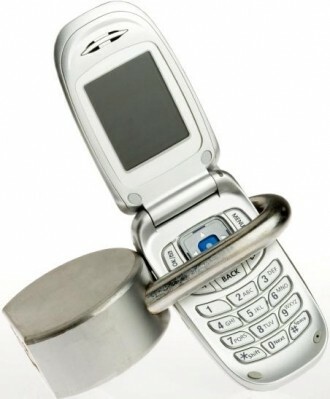 As of this past Monday, January 2, the sale of carrier-locked handsets is forbidden, according to a Twitter announcement by Chile's telecom regulator, Subtel. What's more, devices purchased before the mandate will be unlocked. Folks with restricted handsets can follow instructions posted at Wayerless. The process is simple: visit a certain page on your carrier's site (Movistar, Claro or Entel), submit a form with basic information and you'll receive an unlock code. If that doesn't work, you'll probably have to get in touch with your service provider's customer support. The decision comes as Chile attempts to make cell phones more portable in the country. That initiative will continue on January 16 with the introduction of mandatory number portability. Singapore has long required carriers to provide unlocked devices and Israel passed a similar law in late 2010. Although you can buy unlocked devices in the US and EU, the option isn't available for every model. Carriers tend to wait until after your contract expires before "legitimately" unlocking your device, forcing users to seek third-party workarounds. That's entirely legal but frowned upon by major providers. In many ways, Chile has proven to be among the most technologically progressive nations in the world. In 2010, it became the first country to legally enforce net neutrality, forbidding ISPs from interfering with, discriminating against or in any way hindering access to content, applications or services.